The game’s goal: Accomplish your mission in less than an hour! Each scenario is unique. You will have to find the clues, solve the riddles, and of course, work as a team in to succeed in the challenges that stand between you and your target. Don’t forget: Every action has a consequence and time is of the essence, therefore, there isn’t any time to loiter around! The countdown starts as soon as you enter the room. You will be in teams of 2 to 5 people. Therefore cooperation, problem solving and observational skills are crucial if you want to succeed. What types of payment are accepted at Skryptic? We accept payments by credit card (Carte Bleue, Visa, Mastercard) on our online booking site. For other means of payment, thank you to contact us by email or phone. What is the minimum age to participate in the Escape Game? The game is accessible from 10 years. However, players under the age of 18 must be accompanied by at least one adult per game room. Riddles can be challenging and the thinking is designed for adults. Even if children will bring a lot of things in search of clues, some principles will not be intellectually accessible to them. How big are the teams for an Escape Game? The game is designed for teams of 2 to 5 players. At 2, the game can become difficult, you have to be an expert. The booking is made through our online platform. It allows you to check our availabilities per mission (real time updated) and to book one or several missions at the same time. You can also contact us at 06 20 09 23 71 to book by phone. I have a handicap, can I play your Escape Game in Montpellier? The game is accessible to players with a hearing or visual impairment. However, many clues are sound or visual, so we recommend that you include at least one member with no physical disability in your team. Is there a need for specific knowledge during the game? No specific knowledge is necessary. The game appeals to logical understanding, creativity and above all, team spirit. Is your Escape Game in Montpellier scary? No, this is not the concept of the game, but you have to laugh a bit! All members of the team are requested to arrive on time, neither in advance nor late. We are sorry, but if you arrive late, you will have less than 60 minutes to complete your mission, which deviates much more difficult. The door through which you entered is not locked. You can go out at any time if you need it. In addition, a game master follows you in real time by video throughout the game and can intervene if necessary. HOW CAN I OFFER A GAME SESSION? Gift Cards are on sale in our premises or on our website. Once bought, the gift card will be valid for a year. Can we change or cancel our reservation? The game is an event requiring the reservation of the room for your team. There will be no refund or change of your session. 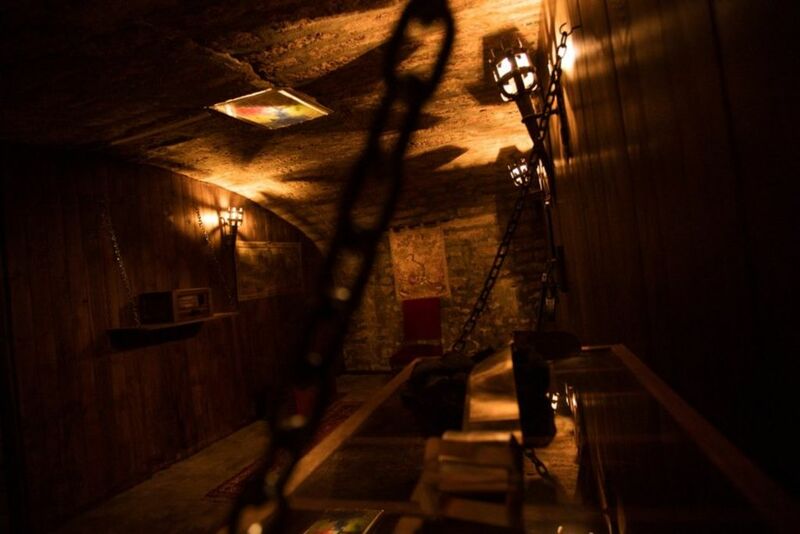 Live Escape Game in Montpellier, designed to provide group of 2-16 people unique experience.